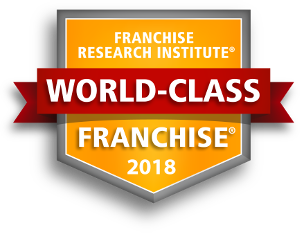 LINCOLN, NE (January 28) – Expense Reduction Analysts® has received World-Class Franchise® certification from the Franchise Research Institute®. The recognition comes after an independent franchisee validation survey conducted by the Franchise Research Institute, in which 74% of all Expense Reduction Analysts franchisees in the United States participated. The survey was designed to determine the quality of 10 key metrics crucial to franchisee success within the Expense Reduction Analysts franchise system. The survey asked Expense Reduction Analysts’ franchise owners to rate their franchisor through a series of questions in categories such as overall quality, growth potential, support and communication. 95% gave a positive rating to the overall quality of the franchisor. 93% agreed their franchsior cares about franchisee profitability and success. 94% gave a positive grade for the helpfulness and communication between fellow franchisees. 94% gave a positive rating when comparing their franchise to the local competition. 88% agreed they are able to speak directly and effectively with senior management.